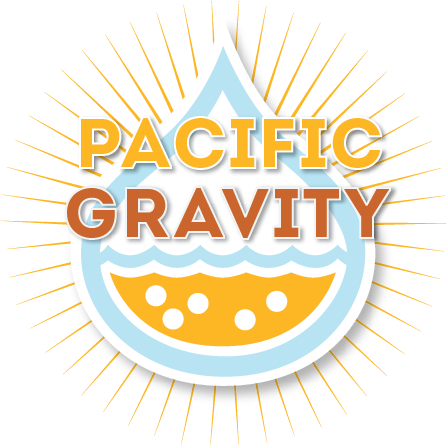 The Pacific Gravity November meeting will be held on Saturday, November 11, at the Casa Molloy event center, 6738 W. 87th Place in Westchester. That’s 87th PLACE. There is an “87th” Street, but we won’t be there. 1) We will be voting for President, Vice President, and Treasurer at the Nov-11 meeting. If you would like to nominate yourself or someone else for 1 of the 3 elected positions, please email us at [email protected] by 11pm Thursday . All nominees must agree to serve for the full 1-year term. This is our way of honoring the club member who you feel has gone above and beyond the call of duty to make our club great. If you would like to nominate someone, please email the nomination to [email protected] by 11pm Thursday. This is your chance to show Chef Ian that you know your way around the kitchen. We will vote for Best Chili and Most Unique Chili. To enter, bring a pot of chili. we will assign your entry a random number. There will be electrical available for electric crockpots. There will be tasty prizes for the winners. Our style of the month is meads and ciders. Feel free to bring a keg or bottles of beer to sample during the chili cook-off. Michael Patterson will once again be demonstrating his excellent no-boil mead making technique. The demo starts at 12pm. If you would like to make a mead, you are welcome to bring your equipment and make a batch. Please note: chilling water will not be available. Following the announcements, we will be sampling commercial meads. Please bring along your homemade meads or ciders to share. – Our commercial tasting style this month is “Sour”, hosted by Tim J. – Announcements, raffle & prizes, and of course: Generally excellent comradery. Looking forward to seeing you there! Details and directions below. Hey PG and happy Monday! April’s Third Thursday is almost upon us, so this is a notice of where we’ll be meeting and what is planned. ONE BIG REMINDER UP FRONT: This meeting is one of our scheduled charity drive events for 2017. Read on for more info and please bring whatever you can! Kip and team have invited us to meet at LA Ale Works in Hawthorne again. Map and directions are at the end of this post. We’ll start with the ribbon ceremony for this year’s Los Angeles Belgian Brew Challenge winners, and then move on to a few minutes of club announcements back behind the fermenters. Did you loan us a cooler for LABBC? (this year OR last) We’ll have them available for pickup and they really need to go home. Kip has generously stored them for us over the past month, it’s time we get them out of his way! LABBC left behind a ton of 2nd bottles that weren’t opened (didn’t make it to the mini best of show) and they’ve been “chillin” in my fridge at 34F. I’ll be bringing them too for random tasting and I’d like them to go home with a bottler who will clean and refill them. If not, they are dumpster bound. We’re also collecting donation items that will go on to people-in-need via our connection with the Ocean Park Community Center – The People Concern. This is a great excuse to go through your closets and/or go to your favorite low cost stores to purchase donate-able supplies. You can shop stores like: Ross and other discount clothing stores, 99 cent stores, Costco and other whole sale stores, or even CVS, Walgreens, and Target. Want to give Money? Mimi your Charity and Special Event coordinator can take cash or checks (made out to: OPCC) for the OPCC.net organization. She’ll take it along with the purchase items for drop off. Monetary donations will also be accepted – checks or cash. Special donation envelopes will be available at the meeting. Tax receipts for monetary donations will be sent to you by mail. These charity drive events are an excellent way for us to give back to the local community. There’s something satisfying in knowing that our donations go to people in our own city who need help. Thank you each in advance for bringing out whatever you can afford. We're headed to LA Ale Works for the 2017 LABBC ribbon ceremony. We'll be collecting charitable donations at this meeting so bring your goods for the greater good! We’re headed to LA Ale Works for the 2017 LABBC ribbon ceremony. We’ll be collecting charitable donations at this meeting so bring your goods for the greater good! Ruben’s Oatmeal Stout in a mini freshman keg that stood tall with all the senior kegs. and a few others that I did not get to sample. Thanks to all that brought beer to share. Education Corner: Michael Patterson led a Single Hop tasting session. I hope everyone there was able to take advantage of Michael’s creative learning presentation. Commercial Tasting: Andrew W. led the commercial tasting, starting with some interesting Ambers (Dude’s Blood Orange Amber, Mission Brewery’s Amber, and Alesmith’s 2015 Decadence Belgian Amber) before launching into some interesting Brown Ale examples (Los Coast’s Raspberry Brown, Alesmith’s Nut Brown, and Port Brewing’s Board Meeting Double Brown). An additional thank-you to Andrew for the thoroughness of the tasting session. Each commercial beer is evaluated, along with its vital stats, and the tasting itself had an interesting twist: the first example from each style had fruit, followed by a classic example, then a higher gravity example. Well done. Raffle swag included lots of hops from the Corley Cellar (congratulations Larry) and some classic PG Glass-&-A-Beer specials. First Friday will be held at our traditional March First Friday site: Irish Times Pub, 3267 Motor Ave, Los Angeles. The 9th Annual Monster Brew will take place at Smog City Brewing, 1901 Del Amo Blvd in Torrance. Each 5-gallon pour will cost $30. Brewing starts at 6:30a, with wort distribution around Noon. See the Monster Brew section for more details and hints on how to modify the wort for your style of choice. Our next club meeting is Thursday, March 16, 7:30pm at LA Ale Works, 12918 Cerise Avenue in Hawthorne. March Style of the Month is Irish Ales and Stouts, in recognition of St. Paddy’s Day. Please bring your homebrew in growlers or bottles only; due to CA Alcohol & Beverage Control (A.B.C.) regulations, homebrew kegs will NOT be allowed on site. You can drop off your entries for the 3rd Annual Los Angeles Belgian Beer Challenge at the meeting. Entry deadline is Friday, March 17. Judging will take place at LA Ale Works on March 26. SCHBF Update: 22 of the 30 camping slots for the May 5-7 festival have been reserved. Cost is $30 per camper. Please pay at any upcoming club event. Don’t forget to follow the registration process at the California Homebrewers Association website so you can get into the festival itself. Our January meeting marked the beginning of what is sure to be a fun and educational 2017. It also marked the debut of the Pacific Gravity Communications Board at Culver City Homebrew Supply. Be sure to check it when you are picking up ingredients for your next brew. Andrew Whittle’s Holiday Spiced Ale. Honest Abe Cider courtesy of Paul Bobadilla. There were a few others floating around that I did not get to sample; thanks to all that brought beer to share. Education Corner: Michael Patterson led a Hop Aroma and Taste Test, where participants graphed their impressions of the hop itself and a single hop beer. It was interesting to see the different graphs reflecting different palates. Who was “right”? Only Michael knows for sure. Commercial Tasting: Michael M. led a tasting of English Ales that included Well’s Bombardier (English Premium Bitter), Fuller’s ESB, Fuller’s London Pride, Boddington’s Pub Ale, and, for our Metal fans, the Iron maiden Trooper Ale from Robinson’s Family Brewers in the UK. Reference these when you brew your next English style ale. Raffle swag included hops from the Corley Cellar, hop rhizomes from Carl Townsend’s impressive hop garden, a rare t-shirt, and some classic PG Glass-&-A-Beer specials. SCHBF news: Save your registration fee by working a volunteer shift at Vail lake. Sign up on the SCHBF registration page. Our next meeting is Thursday, February 16, 7:30pm at Culver City Homebrew Supply. See you there!